Happy Wednesday everyone!! 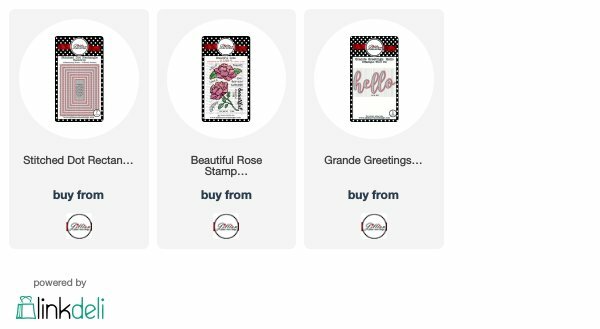 Have you seen all the new Grande Greetings dies that are available in the AJVD store? If you haven't checked them out yet you really should. They are fabulous! My card today uses the Grande Greetings Hello word die along with the lovely Beautiful Rose stamp set. I had recently made a card using some pretty coral cardstock and had a piece still out so that was my starting point for my card. I die cut the hello from that cardstock, twice more from white cardstock and then adhered the three together. I decided to do some coloring on kraft cardstock using one of the rose images from Beautiful Rose. I stamped the flower on the kraft cardstock using a light colored ink and then colored in the flower using my Prisma Color pencils. When I was done I outlined the flower using a white Prisma pencil and die cut it with the large Stitched Dot Rectangle die. The hello was then adhered over the top of the rose. 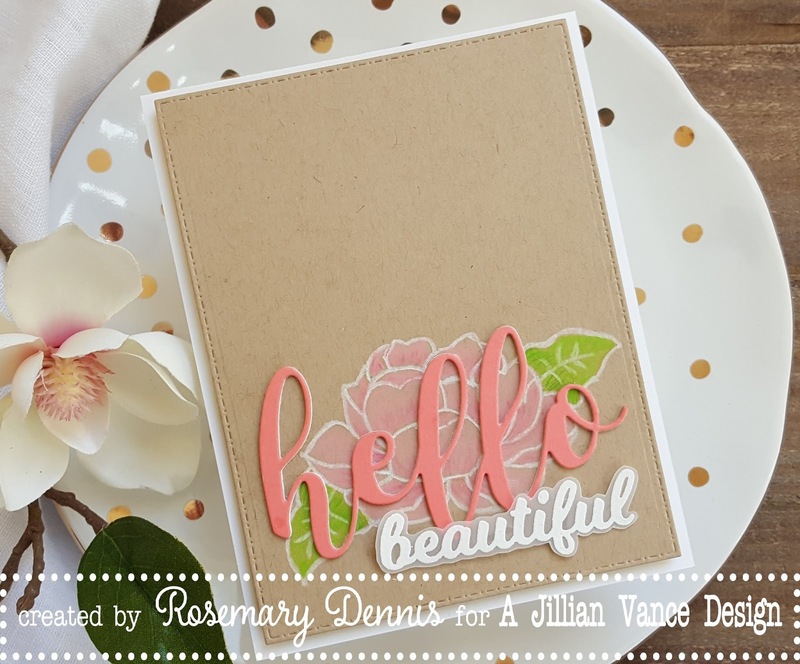 I stamped the word beautiful (also from the Beautiful Rose set) with watermark ink and heat embossed it in white. I then trimmed it out and adhered it to my card using rolled up glue dots. The completed panel was then adhered to a white cardstock base. Beautiful rose! Such pretty colors too! Just love the jumbo hello over that yummy rose, Rosemary!! Love the coral with kraft combo & this is just gorgeous, Rosemary! Love the rose & that wonderful word die! The is CAS prettiness Rosemary! I love the coral-y pink with the kraft!